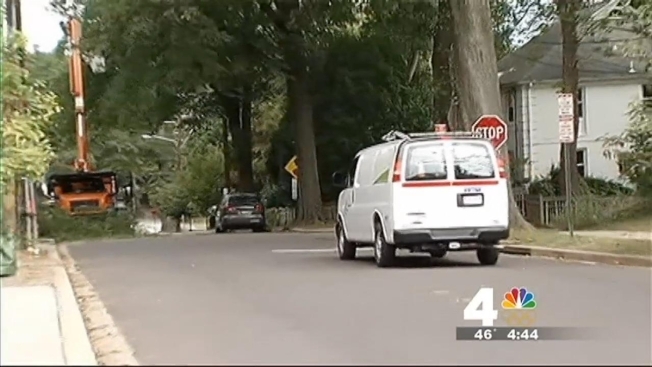 D.C.'s new automated enforcement camera campaign is set to kick off later this week. The Metropolitan Police Department has been testing out new cameras that will ticket drivers for offenses like not coming to a complete stop at a stop sign, not yielding for a pedestrian in a crosswalk, creating gridlock by "blocking the box" at an intersection and driving an oversized vehicle through a neighborhood street. Dozens of new cameras have gone up around the city. As part of the campaign, the Metropolitan Police Department will roll out a new YouTube campaign. In the new videos, MPD pokes fun at these offense by showing annoying behavior by co-workers in the office and even dabbling into the realm of inappropriate fashion choices. Up uintil early this afternoon, those videos could be viewed on YouTube. "It's part of a larger campaign that we are announcing later this week," Metropolitan Police Department Spokesperson Gwen Crump wrote in an email. Crump would not elaborate as to whether or not this new D.C. Street Safe campaign means the new cameras will be activated and start handing out fines later this week, only saying "We will announce the campaign later this week." The District already has cameras that ticket drivers for speeding and running red lights.